It seems that Department of Telecom (DoT) officials are confused about the impact of Net Neutrality and Zero Rating Plans introduced by telecom players. Reports are emerging that DoT committee believes that Zero Rating Plans doesn’t violate Net Neutrality; but at the same time have urged the Government to adopt Net Neutrality as a strong policy initiative. Both recommendations cannot be applied at the same time; just like two swords cannot be in one sheath. 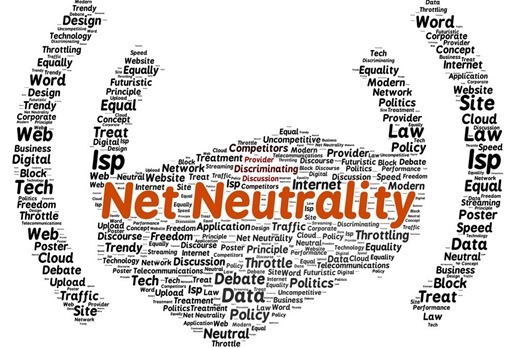 Last month, DoT had formulated a committee to study the impact of anti-net neutrality plans such as Internet.org and Airtel Zero on the overall Internet usage and adoption in the country. The committee included these 6 high ranking officials: A. K. Bhargava, Member(T) – Chairman; A. K. Mittal, Sr DDG, TEC – Member; Sashi Ranjan Kumar, Jt. Secy. (A)- Member; Umashankar, Jt. Srcy. (T) – Member; Narendra Nath, DDG (Security) – Member; R. M. Agarwal, DDG(NT) – Member & Convener. Out of these, 2 officials have reportedly told LiveMint that as per their views, Zero Rating platform doesn’t violate Net Neutrality principles. The committee has submitted their 100 page report to Telecom Minister Ravi Shankar Prasad, who was quite vocal about his support for a free and fair Internet platform for all, without any discrimination. Interestingly, just few weeks back, DoT had said that Airtel Zero plans violate Net Neutrality; such instant backtrack on their statements show that either they still haven’t understood the nuisances of net neutrality principles or they are deliberately issuing contradictory statements to confuse us. The same officials who have supported Zero Rating Plans have also said that Internet should be without prioritization, and that no discrimination would be ‘tolerated’. In the report, they have shared that Net Neutrality is a globally accepted paradigm, and Indian Govt. should ensure that there is no throttling and discrimination based plans. It appears that this committee has copied the rulings of Federal Communications Commission in USA, which has declared that plans such as zero rating should be treated like sponsored data schemes and every complaint against it would be treated on case to case basis. Although the conditions are vastly different in USA and India, the basic premises of Net Neutrality remains the same, and it would be interesting to observe how Indian Govt. comes out on it. DoT has again clarified that the final decision on this matter resides with TRAI, which had earlier supported telecom companies on this issue. But major telecom players such as Reliance, Vodafone, Airtel and Ideal have rejected this proposal, stating that Internet should be treated as basic telecom services like SMS and Voice; and thus, there should not be a provision to deactivate it. This clearly shows the hypocrisy of telecom players. If Internet is indeed a basic telecom service like Voice or SMS; then why are they proposing discriminatory plans for accessing some websites and apps?